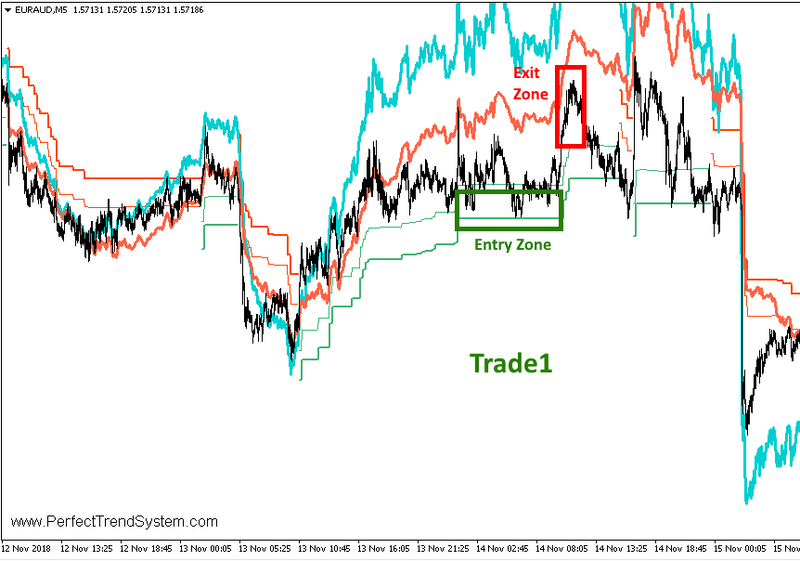 Our standard setup "H4 divergence + M1/M5 MagicEntry" occurs many times per month. 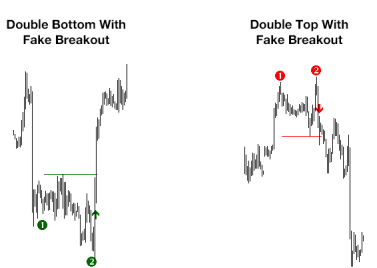 You will love this setup type because it can bring you big winning trades on a regular basis. 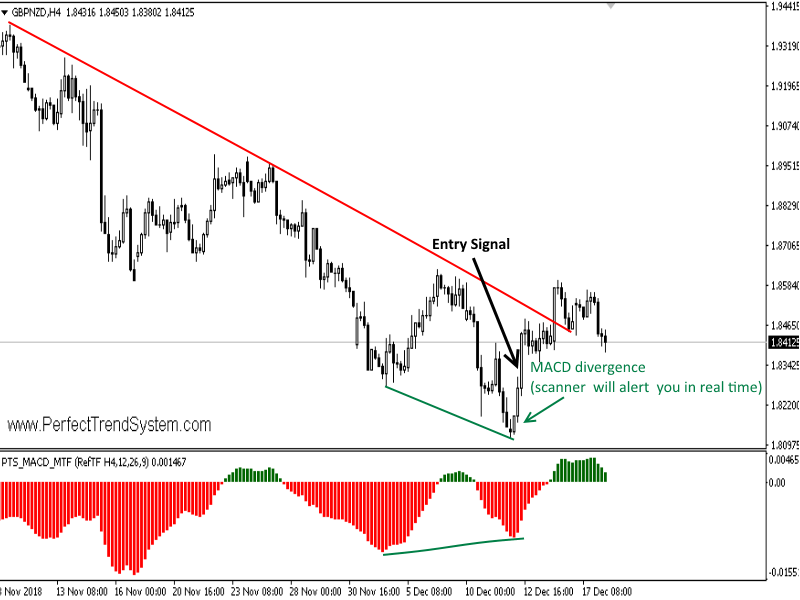 - A MACD divergence is signaled by the Divergence Scanner on H4. The divergence alone is too weak to trade. - Once you get a signal then you can be assured that the price is running extremely fast into the direction of the divergence. Yesterday Brown our MagicEntry-Guru did a free weekend training session with 80+ members. You can spot the trade setups with the MagicEntry-Indicator and you can receive alerts with the MagicEntry-Alerter. You can receive alerts when divergences occur with the Divergence-Alerter. 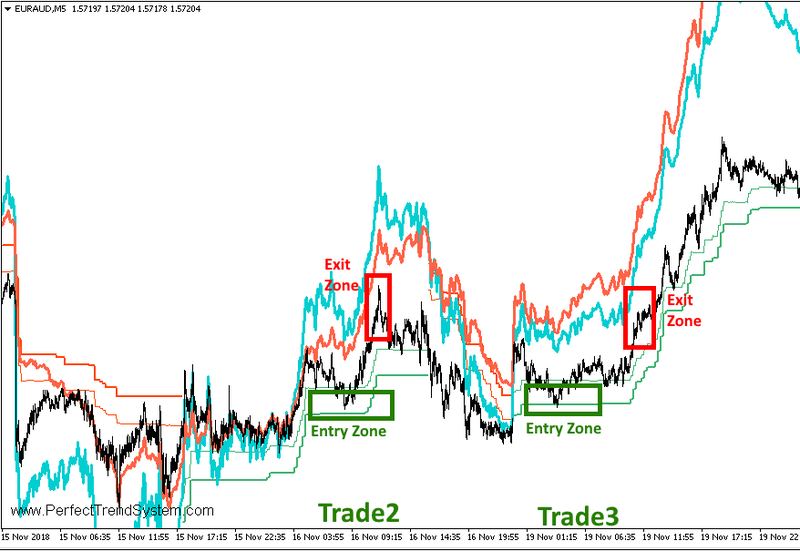 Between 14th and 19th November there were 3 buy trades on EURAUD on the time frame M5. 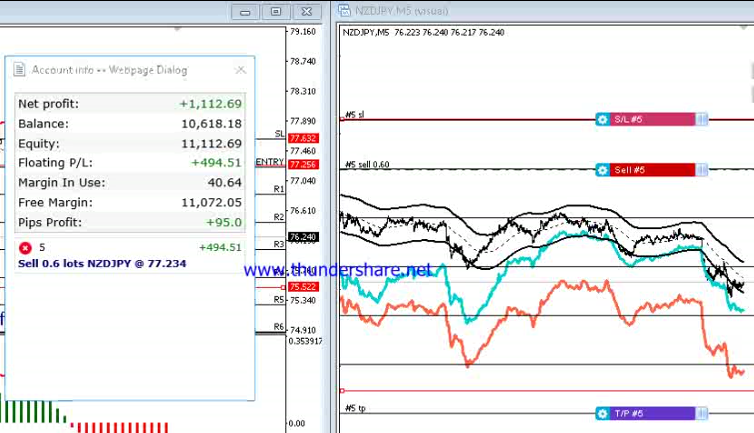 All 3 trades were winning trades. 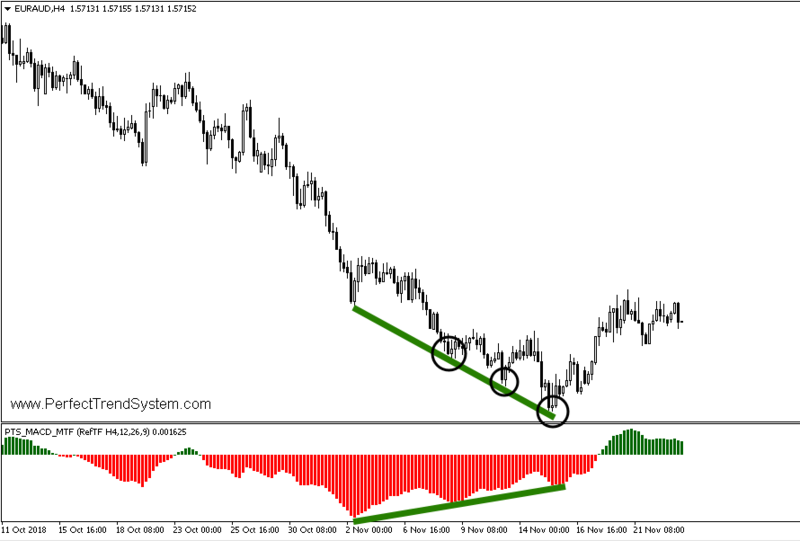 As you probably already know, in the analysis section on this website I provide free divergence analysis on H4 charts. I also draw the divergence on EURAUD as shown in the following screenshot. I always only select a special type of regular divergences. The divergences that I select are those that occur during a matured trend. These divergences are showing possible reversals of the trend direction. You can compare such divergences with a football that is hold under water. The football wants to pop up above the water line. In the following screenshot, labeled with the black circles, you can see the areas where you can also search for entry opportunities with our Double Top/Bottom (M30/H1) Trading and our V-Power Trading System. And now we will take a detailed look at the time frame M5 and see how these 3 trades on EURAUD could have been traded. After the blue and orange line started leading the price, then trade only the first pullback and the ride the subsequent move! Gold made a nice uptrend on M30 and gave 2 good entry signals. The entry signals are V-formations within the reversal zone which is the area between the green lines. In the area of the big red X the trend was not indicated as strong by the indicator. Right of the big X the blue and orange line started leading the price strong. This tells you that the strength of the trend is good. During this area entries are allowed. Therefore, you could have entered after the rejection at the two green arrows. Within the area of the small X entries are not allowed. Although the trend was indicated as strong by the blue and orange line, the two green lines (the reversal zone) was no longer there. 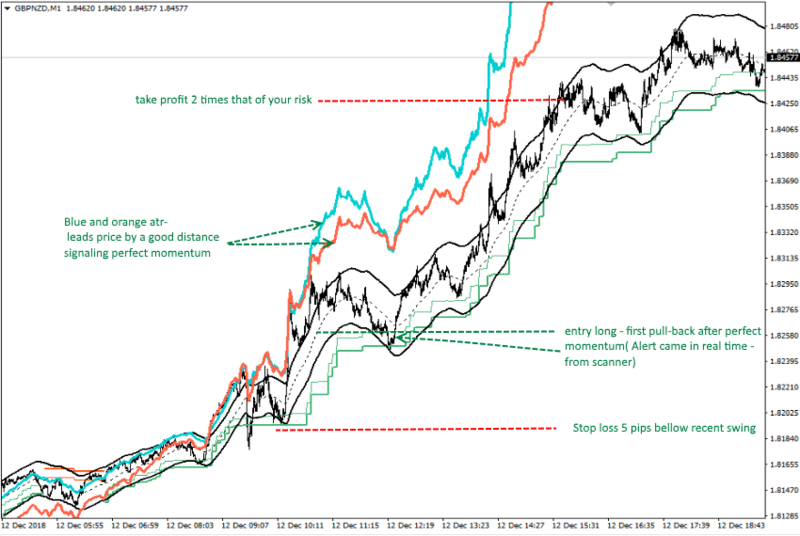 Two Magic-Entry opportunities on GBPJPY M5 last Friday. The downward trend gained momentum indicated by the the blue and orange line which started leading the price strongly. The price then reached the entry zone. Within this entry zone you wait for occurrences of price spikes to the upside which are immediately rejected. Those price spikes plus the rejection for an inverted V (for short trades). Those inverted Vs within the entry zone during a strong downward trend are the Magic-Entries which you want to trade with this system. At the bottom of the chart you see a big V-formation. This tells you that the downard trend is most probably over. Further short entries should NOT be taken. Play the odds and wait for the next strong trend.